Traditions are written in capital letters in the Schwan. These include not only Grandma Käthe's family recipes, which guests love so much, but also the deep roots in the Pempelfort neighbourhood. The café and restaurant on Sternstraße on the corner of lively Duisburger Straße is an institution of the district. Don't forget to try the cheesecake - according to a secret recipe by Grandma Käthe, which fortunately she passed on to her granddaughter, swan owner Kerstin Rapp-Schwan. 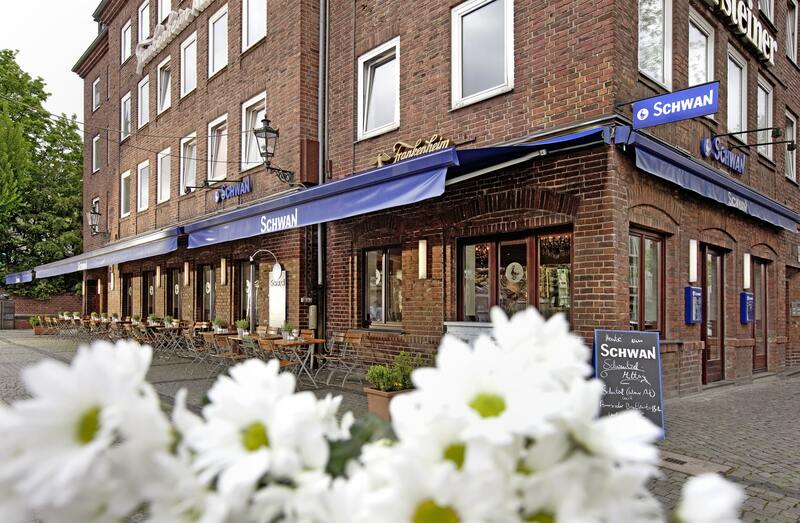 If you want to take a look over the Pempelforter Tellerrand, you will also find a nice place in the nearby Schwan in Derendorf (Frankenstraße 1).